Peter Pan দেওয়ালপত্র. Peter Pan wallpaper.. HD Wallpaper and background images in the প্রথমশ্রেণীর ডিজনি club tagged: peter pan capt. 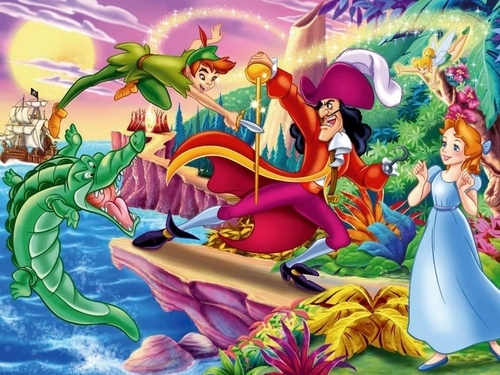 hook disney animated film movie wallpaper. I love really colorful wallpapers!